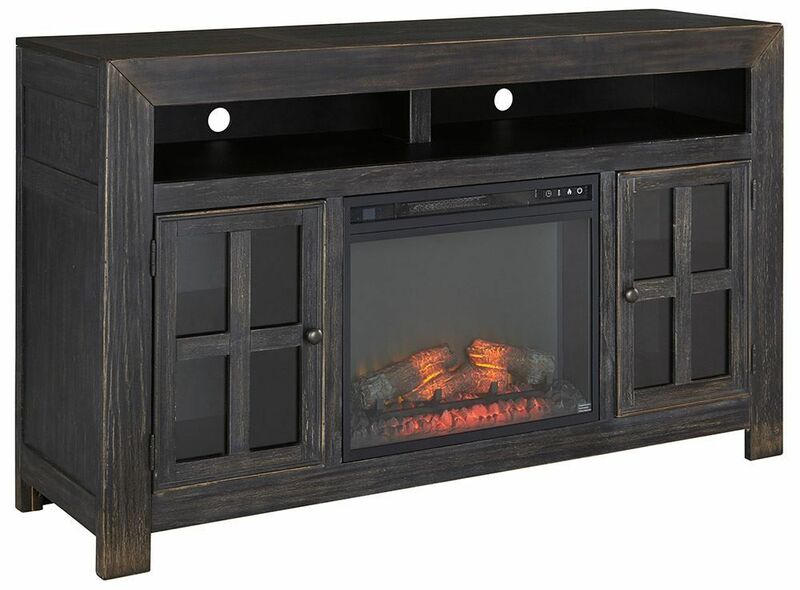 The vintage charm of the "Gavelston" Television Stand lends itself to a variety of home decors. 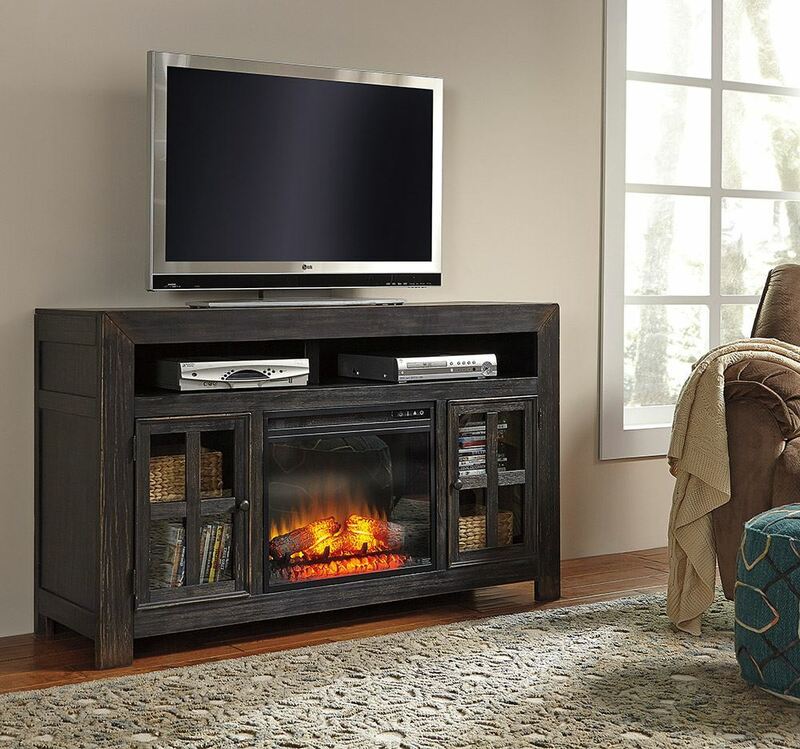 Featuring a dry weathered finish, sound bar compartment, door storage and a fireplace insert, making for a clean and organized unit to house all your electronics. The vintage charm of the "Gavelston" Television Stand lends itself to a variety of home decors. Made with select veneers and hardwood solids in a dry vintage weathered finish. 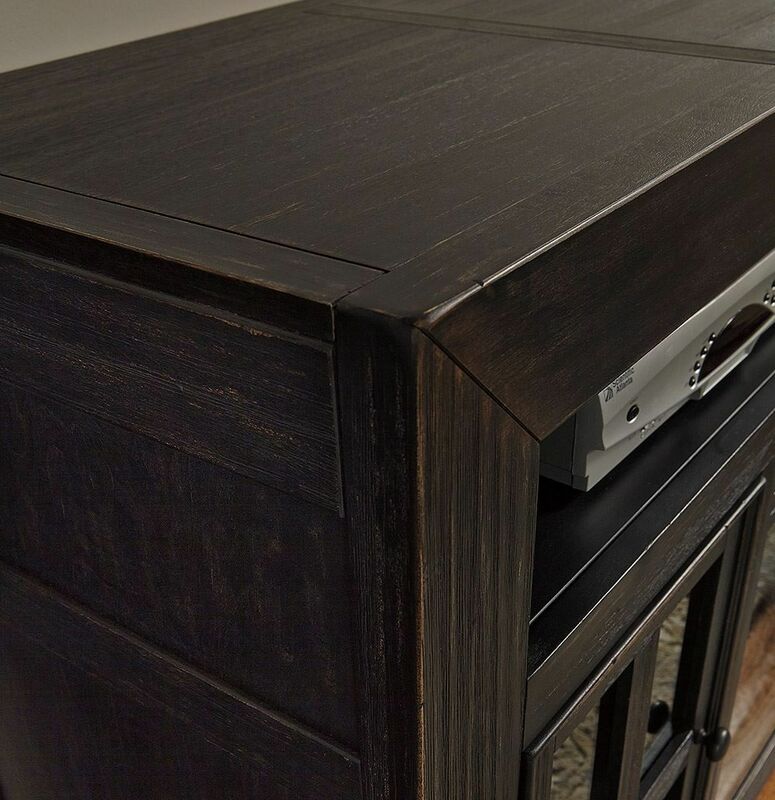 TV stand has mitered framed detail with openings to accommodate sound bar technology. Door storage and cord management.